April 5, 2017 – Providence, RI – Providence College (PC) alum and internationally known writer Roy Peter Clark ’70, will present the Commencement Address at the College’s 99th Commencement exercises. The ceremony will take place on Sunday, May 21, at 11:00 a.m., at the Dunkin’ Donuts Center, 1 LaSalle Square, Providence. Clark is one of six honorary degree recipients. The others are: Barnaby Evans, artist, and creator of WaterFire Providence; Liz Flynn ’82, recently retired as vice chairman at Marsh and CEO & president of Marsh U.S. Consumer; Rabbi Wayne Murray Franklin, Senior Rabbi of Temple Emanu-El, Providence; Richard Grace ’62, professor emeritus of history at Providence College; and Navyn Salem, founder and CEO of Edesia, a nonprofit foundation based in North Kingstown, RI that produces Plumpy’Nut,® a nutrient-rich, peanut-based paste used as a therapeutic food for children around the world suffering from malnutrition. Roy Peter Clark, “America’s Writing Coach,” earned his BA from PC in 1970. While at PC he was the editor of the literary journal, The Alembic, and also managing editor of the student-run newspaper, The Cowl. From there, he attended Stony Brook University receiving an MA in English in 1971, and a Ph.D. in English in 1974, specializing in medieval literature. In 1974, he accepted a position teaching English at Auburn University in Montgomery, Alabama. Newspaper columns he wrote during that time attracted the attention of the editor of the St. Petersburg Times, and Clark was hired in 1977 as a reporter and writing coach for the newspaper staff. In 1979, he became the first full-time faculty member at the Poynter Institute, a not-for-profit school which owns the Tampa Bay Times publishing company, and is known internationally as the global teacher of journalism; The Poynter Institute is considered the most prominent such teaching institution in the world. He worked there for over 30 years, with stints as dean, vice-president, and senior scholar. He retired from Poynter in January 2017, but contributes regularly to Poynter.org on various topics. He has been the author or editor of 18 books, and is the founding director of the National Writers Workshops. His work has been featured on NPR, “Today,” and “The Oprah Winfrey Show.” He was selected as a distinguished service member of the American Society of News Editors, and was inducted into the Features Hall of Fame. He has received an honorary degree from Goucher College in Maryland, and has served as a writer-in-residence at Vassar College in New York. Clark will receive an honorary doctorate of journalism. Barnaby Evans, creator of WaterFire, will receive an honorary doctor of fine arts degree. Evans is an artist who works in many media including sculpture, photography, film writing, and architectural projects. He is best known for creating WaterFire in 1994, an installation on the Providence River and at Waterplace Park. It was then called “First Fire” to celebrate the anniversary of First Night Providence, formerly a New Year’s Eve event in the City. In June 1996, he created “Second Fire” for the International Sculpture Conference and the Convergence International Arts Festival in Providence. In 1997, with hundreds of volunteers and the broad support of the community, he established WaterFire as an on-going installation. Every WaterFire draws thousands of people to Providence for the event. He also created WaterFire Houston in 1998. Evans received a BS in biology and enviromental science from Brown University in 1975. In 2000 he received an honorary doctorate of fine arts from both Brown and Rhode Island College. He also has received the Aaron Siskind Fellowship in Photography, several fellowships from the Rhode Island State Council on the Arts, the Silver Prize for Colour Photography at the International Triennial Exhibition (Switzerland), and Providence’s Renaissance Award in 1997. Evans’ photography is included in the permanent collections of the Victoria and Albert Museum, London; the Bibliotheque Nationale, Paris; the Musee d’art et d’histoire, Fribourg, Switzerland; the Addison Gallery of American Art, Andover, Massachusetts; and the Museum of Art, Rhode Island School of Design. His photographs have been nationally and internationally exhibited and published in such magazines as Camera, Lucerne, Switzerland; Photokina, Cologne, Germany; Photography Annual, New York; and Schweizerische, Switzerland. Liz Flynn ‘82 earned a BA in mathematics from PC in 1982, where she graduated at the top of her class. She received an MBA in finance from New York University. She recently retired as Vice Chairman at Marsh, a global leader in insurance broking and risk management. She was formerly President of the Insurance Services Group; and CEO & President of Marsh U.S. Consumer. She served as a member of the Board of Trustees of Providence College from 2001-2010, and is currently a trustee of the Convent of the Sacred Heart. 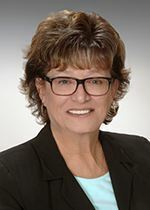 She remains active as a director of Webster Financial Corporation and Webster Bank in Waterbury, Conn. She will receive an honorary doctor of business administration degree. Wayne Franklin has been the senior rabbi at Temple Emanu-El in Providence since 1981. Prior to that, he was rabbi at the Orange Synagogue Center in Orange, Connecticut from 1975-1981, and at Temple B’nai Shalom in Benton Harbor, Michigan from 1970-1975. Franklin received his BA in Sociology in 1965 from Yeshiva University. He received his Masters in Hebrew Letters from the Jewish Theological Seminary of America in 1968, and his Rabbinic Ordination from there in 1970. He is currently a member of the Providence Faith, Community and Law Enforcement Dialogue, and is the co-founder and co-chair (with Dr. Arthur Urbano of PC) of the Catholic-Jewish Dialogue of RI. In 2014, he was the recipient of the National Conference of Christians and Jews Interfaith Leadership Award, and, in 2015, he was named one of America’s Most Inspiring Rabbis by the Forward, a national Jewish newspaper. Rabbi Franklin will be presented with an honorary doctorate of divinity. Richard Grace ’62, has had a long history as an educator. His career at PC began as an undergraduate, and he earned a BA in history in 1962. After receiving his MA and Ph.D. in American history at Fordham University, Grace returned to PC in 1965. During his career, he was an instructor, assistant professor, associate professor, and professor of history. From 1970-1987, he was the director of the Liberal Arts Honors Program, and was the chair of the history department from 1994-2000. Grace was the founding associate editor of the scholarly journal Providence; Studies in Western Civilization from 1992-2004. He was selected for inclusion in Who’s Who in America, 2008, and subsequent editions. He is most recently the author of “Opium and Empire: The lives and careers of William Jardine and James Matheson,” telling the story of the founders of a large trading company in East Asia. He will receive an honorary doctorate of humanities. Navyn Salem is the founder and CEO of Edesia, a nonprofit foundation that produces Plumpy’Nut®, a nutrient-rich, peanut-based paste ready-to-use therapeutic food (RUTF). She will receive an honorary doctorate of public service. In 2007, Salem set out to reduce global malnutrition rates, affecting over 250 million children, by starting an RUTF factory in Tanzania, her father’s home country. In 2009, she expanded her vision by founding Edesia, a U.S. non-profit food aid manufacturer, in Rhode Island. From its North Kingstown facility, Edesia now makes a full range of fortified, peanut-based products for humanitarian agencies like UNICEF, World Food Programme, USAID and other non-governmental organizations working in emergency and conflict zones. Since production began in March 2010, Edesia has reached over 4.8 million malnourished children in 48 countries. In 2012, Salem was named New England Business Woman of the Year by Bryant University, received the Roger E. Joseph Prize from Hebrew Union College for being an outstanding humanitarian, and was awarded an honorary doctorate in social sciences from Boston College, her alma mater. In 2013, Navyn received an honorary degree in business administration from Bryant University, became a trustee of Boston College, and is a member of the Chicago Council’s Global Agricultural Development Initiative Advisory Group. She is a 2014 Henry Crown Fellow of the Aspen Institute and a member of the Aspen Global Leadership Network.